As part of the projects to decrease dependency on imported medical equipment, Turkey is planning to manufacture ultrasonography devices, MRI machines and computed tomography (CT) equipment. 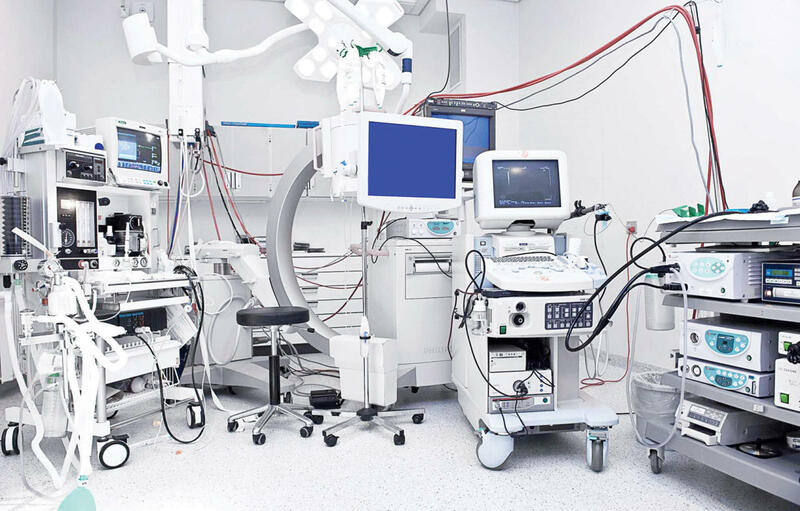 In order to boost investments in the local production of medical devices, Turkey has called on international companies to engage in tenders and investment projects. "We are inviting international companies to start joint-manufacturing projects with Turkish partners and we have so far received positive replies," President Recep Tayyip Erdogan said at the academic year opening ceremony at the University of Health Sciences in the capital Ankara. "Turkey needs rapid localization in the health sector," said President Erdogan, emphasizing that the country should produce its own tomography, ultrasonography and MRI machines. He said the Turkish medical industry is by and large dependent on imported resources and this should not be the case. A large portion of health spending is allocated for imported medical devices, pharmaceutical products and goods for which licenses are purchased from abroad, Erdogan stated. When Turkey starts the production of these products and devices with local means, the burden on the social security's budget will be eased, narrowing down the current account deficit. "However, the pharmaceutical and medical device industry in the world is monopolized and it is not easy to break this monopoly and form a national infrastructure," he added. The president underscored that the localization of the health sector was as "important and critical" as the defense sector. He also called on all ministry officials, universities and all other relevant authorities to fully support Turkey's initiative. This project will enable local companies to develop for the global market and increase their brand value in Turkey, which imports about 85 percent of its medical devices totaling to $2 billion per year. By localizing imaging devices, imports of medical devices will be reduced significantly, contributing close to TL 6 billion ($1.44 billion) to public finances in about 10 years. Leading Turkish defense giant ASELSAN accelerated its efforts in healthcare after a cooperation protocol was inked with the Health Institutes of Turkey (TÜSEB) in the field of domestic health biotechnology production. The company will start to develop kits and devices that will enable the rapid detection of diseases caused by viruses and bacteria in primary health care facilities and aims to improve the medical industry in Turkey and reduce the dependence on foreign countries. According to previous reports, global high-tech giants General Electric and Philips have reportedly been looking for production bases and Turkish partners to enter the $6 billion market in Turkey. General Electric was said to be looking at Turkey's leading defense firm and electronics giant ASELSAN, while Philips was in talks with Zorlu Group's technology brand Vestel. The localization project will also contribute to employment. Qualified personnel will be recruited for factories and research and development centers to produce domestic medical devices. It will also contribute to the professional development of technical staff such as engineers, operators and technicians and transfer significant resources to research and development.